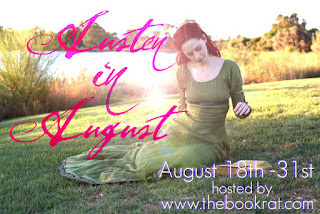 Karey has offered up three ecopies of My Own Mr. Darcy to three lucky Austen in August readers! This giveaway is international! Ends September 7th, 12a EST. Fill out the Rafflecopter below to enter. It's the same for me, not only is he willing to admit he was wrong but he's also willing to change. Not to win Elizabeth over, but to become a better man /sigh! Sounds like a great read! Thanks for a chance to win. It's possible that I have a similar vow to myself. Not so much about the handsome or what not, but a Mr. Darcy always strikes me as a GOOD man. I think that might be where long term happiness is at. Oh, this is on the top of my Austen-TBR! Sounds like a fantastic story. And my favorite thing about Mr. Darcy is his willingness to look at himself (and his faults) and to make himself a better man. His library and how dignified and honourable he is....Although he can be blunt.. he is a very manly gentleman. I could just imagine sitting round a fire talking about books as someone brought us tea and sandwiches(not forgetting cakes) . He is such a swoon worthy character! Mr Darcy is willing to change his ways for the better to win Elizabeth's approval. That what makes him a true hero for me. Mr Darcy gets things done. He is a doer who doesn't necessarily boast about what he's accomplished. Like others, it is the epic changes he enacted in his life to prove he had learned from Lizzy's reproof. I love Darcy's protective nature. I love the way he admits his wrongs and does everything in his power to right them. He pushes aside his own issues and decides to become a better man. Love him for it! I don't have an ereader, so I'm not entering the giveaway, but reading the description of the book made me cheer. YES! 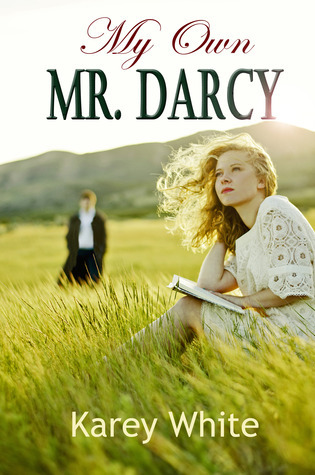 What a great plot, and (as a lover of P&P who also knows better than to want a Darcy of her own) I love the concept of perspective, Darcy to modern-day sweetie. There are too many things to like about Mr. Darcy. For the time he does a few big things to show he is a good man, going against family and society expectations, is humble enough to propose twice, change his behavior where he is found lacking. I like best that he reconsidered - he changed his ways to win her... cool! I have to read this book! It sounds wonderful! My favorite thing about Mr Darcy is how much he loves Elizabeth and wants to protect her. I love that Darcy isn't actually perfect. He SEEMS perfect. He probably LOOKS perfect. He's logically an all-out, plain and simple CATCH. But he's not perfect. He has some issues -- pride, shyness/reluctance to open up to strangers (not necessarily a bad thing) ... But he knows this. And he's willing to make the effort to change for the woman who steals his heart. i love Darcy's total & absolute devotion to Lizzie!!! I love how devoted Mr. Darcy is to his family and friends. I love his quiet intensity. I fell in love with a man of a similar disposition and scored my own Mr. Darcy! Thrilled to win! TY TY TY !! !